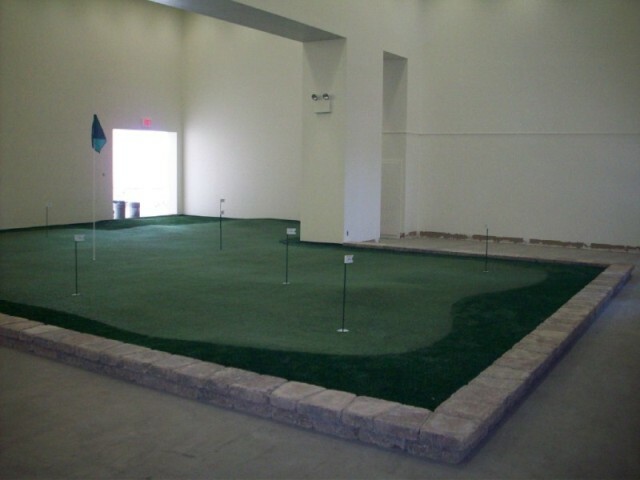 In September 2008, Southwest Greens of Ohio was hired by the Athletic Department of Bowling Green State University to design and install an indoor practice facility for the Men’s and Women’s Golf Squads. The 1200 square foot short game area incorporated our outdoor product preferred by PGA TOUR Players brought inside to shelter the Falcon players from the harsh winter months of Northern Ohio. We also installed tee lines with two different types of turf in combination with barrier and impact netting. We are looking forward to seeing the effects of this installation in recruiting and performance for the Falcons!